Vinegartart is most gratified for the attention you gave it in 2010, and we hope we can remain interesting enough to keep you coming back this year. We just received this report card from WordPress regarding the visits you and thousands of others made to Vinegartart and thought you might be interested! If you’ve been enjoying the ride, please share Vinegartart with your friends. It’s all about food, all the time. Thanks for following! In 2010, there were 39 new posts, not bad for the first year! There were 284 pictures uploaded, taking up a total of 73mb. That’s about 5 pictures per week. The busiest day of the year was October 23rd with 120 views. 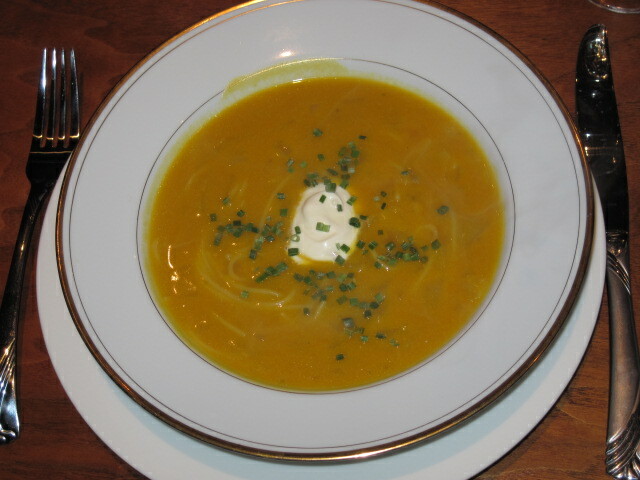 The most popular post that day was Golden Split Pea Soup. The top referring sites in 2010 were valentinefarm.com, mail.live.com, facebook.com, healthfitnesstherapy.com, and dating-online2u.blogspot.com. Some visitors came searching, mostly for vinegartart, creamy tarragon vinaigrette, “sparkling hill”, red seeded citron, and buttermilk tarragon dressing.